This bitter cold has turned quite a few people into hermits. Scores of events have been canceled and rescheduled for, hopefully, warmer times. Now it’s Friday, and fear of frostbite notwithstanding it’s time to get out of the house. So tonight you grab some friends, head to a bar, and trip over the tumbleweeds. You just know other people have been feeling the same itch to get out, but where are they? There’s a new service in town to help you find them. How’s The Bar members keep each other informed on crowd size, age, gender ratio, drink value, and entertainment. You can search ahead of time to see how a place has been rated in the past, or you can see how it is in real time. Circles of friends can update each other with text alerts, and you can post to Facebook and MySpace. Sounds like a great concept that’ll really take the pain out of deciding on the next bar. You know how it is; you’re having an OK time, but you’d like a different scene. Or, you’ve already paid your $20 cover and don’t want to cough up another one if there’s nobody there or everyone’s having Girl’s Night Out and all the guys have stayed in the hinterlands. Unless you’re a guy – then that’s your perfect place and exactly what you want to know. Like any community it’ll depend on the people who join, so spread the word. They’ve already got about 700 members. I plan on digging out from under my layers of clothing this weekend. Hopefully How’s The Bar will help me heat things up. I must be getting old. 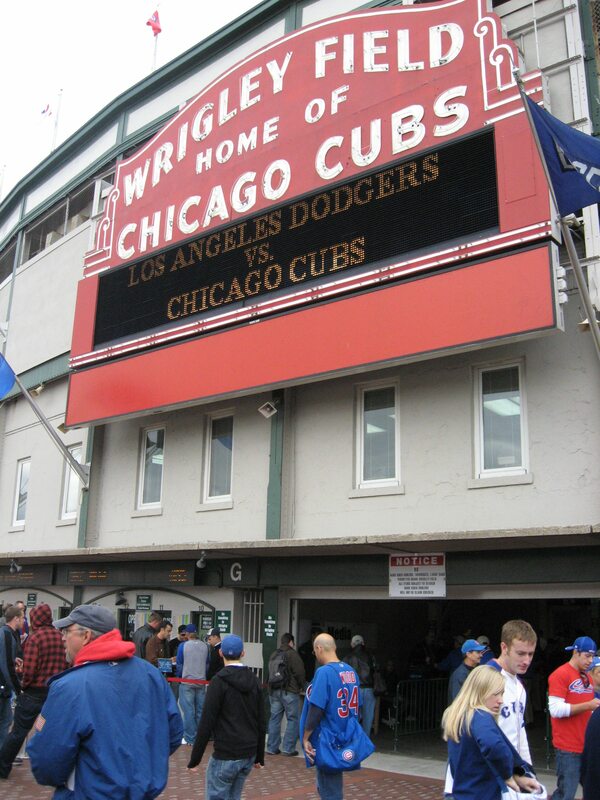 That’s the only way I can justify the fact that, as a lifelong, die-hard Cubs fan, I found myself irritable and cranky as I walked through the crowds in Wrigleyville before the game last night. I guess the years of disappointment and loss have not been kind to my tolerance of overly excited large crowds and high-priced Old Style. I’d decided to head out to soak in some of the playoff atmosphere and find a place to watch the game among like-minded fans around the ballpark. But after grumbling at the site of Ronny Woo Woo (why is he so famous? ), and groaning at the site of some fan’s novelty haircut and seething as I waded through crowds of depressingly optimistic Cubs fans, I realized why I was acting like a angry old woman: I was stone cold sober. Your mother is very disappointed with your haircut. Silly me. I knew better than to head into the baby bear’s den without a head full of hope and belly full of beer. But this situation needed to be remedied…fast. 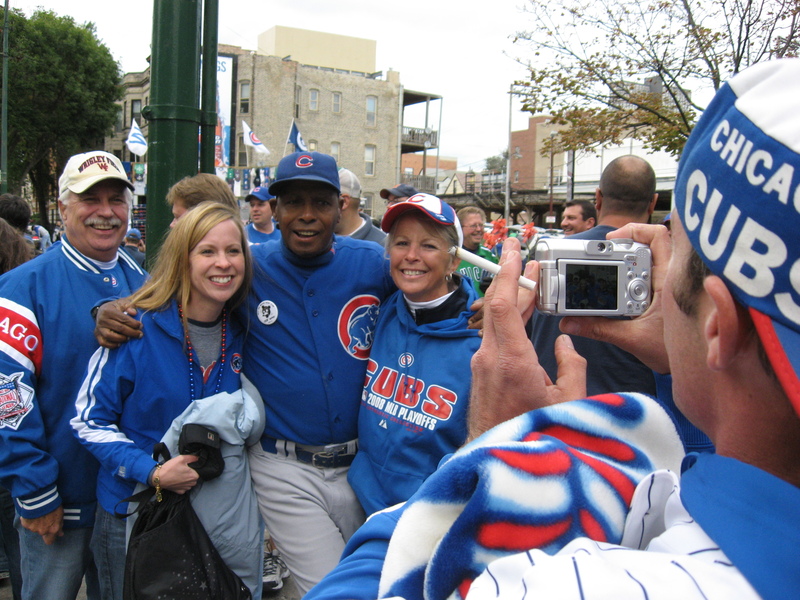 And in my state of mind, I was no shape for the Wrigleyville mainstays of Murphy’s Bleachers, The Cubby Bear, or even Sluggers, leaving me with very few options. Luckily, the bar chose me. “Cold beer here!” said a voice in front of me. No. Way. A beer man on the street?? Suddenly, everything was coming up Justin. Ronny Woo Woo: His fame remains a mystery. Now normally, I’m not one to put myself in a situation where I think I might be murdered. And frankly, in my mind, strange basements are typically a hotbed for that sort of thing. But with with Def Leppard’s hit “Pour Some Sugar on Me” blaring through the door and a sign that read “$5 domestic cans”, I couldn’t help myself. What I saw after walking through that door can only be described as magical: TV’s as far as the eye can see, a large, easily accessibly bar, room to move around, yet still crowded enough to be fun…and the best part: $3 hot dogs and $5 domestic cans ($0.50 cheaper than most of its competitors). 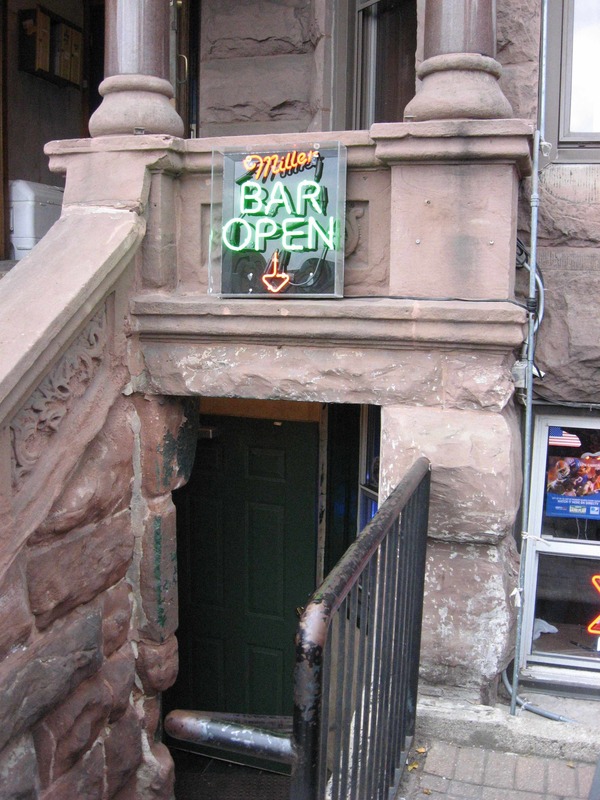 I’d found a bar I thought to only be a Wrigelyville urban legend: DugOut Sports Bar & Grill. 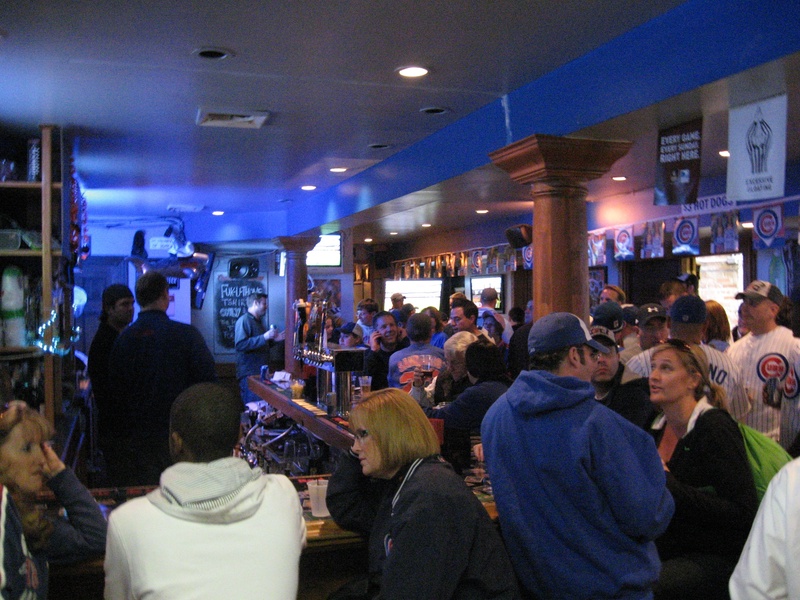 Located at 950 W. Addison St., Suite B (read: between an ATM machine and a ticket reseller), DugOut is one of the best kept secrets in Wrigleyville. Aesthetically it resembles the bar in your parent’s basement. Socially it’s much less pathetic. It’s a good mixture of true-blue Cubs fans who actually watch every single pitch, and the hangers-on and bandwagoners that help lift the true-blue fan’s spirits with their naive optimism. DugOut: A lot less pathetic than your parent's basement. So as I feasted on a $3 hot dog and the old woman in me retreated back from whence she came, I marveled at the fact that win or lose, I’d found my new gameday hangout. If you love the fusion of art and music, then I hope you can make it down to The Victor Hotel this Friday for Project Art 2.0. The night will feature live painting performances by a talented selection of Chicago’s up-and-coming visual artists, Peabe, Revise, CMW, Blutt, and Joey Potts. Guests will witness cutting-edge art created in real-time before their eyes while enjoying energetic DJ sets by selectors Spre and Rahaan and an open gallery of art throughout the venue. 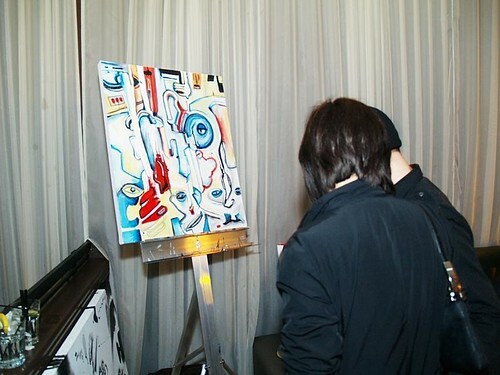 Following the success of the Project Art series launch party at Avenue M (attended by Alicia Keys, Patrick Dempsey and luminaries from Chicago’s art community), Project Art has quickly become an established gathering hub for artists, cultural enthusiasts, and music lovers of all backgrounds to unify and interact with one another. Join us as we celebrate the launch of PLS’s magazines “Art & Photo” issue while shining a spotlight on a new generation of young emerging visual artists.